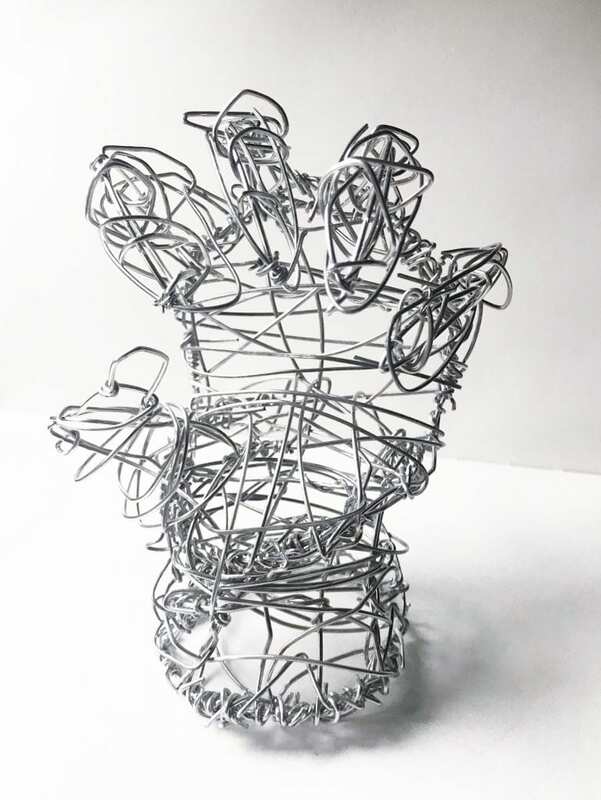 Below is my hand sculpture that I made out of wire. I used combination of steel 19 gauge wire and 18 gauge aluminum wire. I originally wanted the hand to hold my camera, but it was too big for the sculpture to be able to hold it. 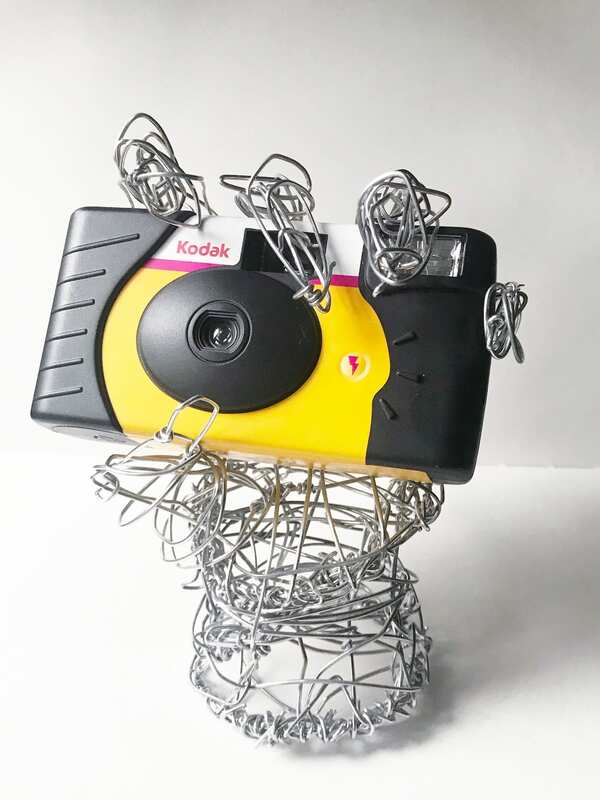 I instead am using a disposable camera to symbolize my love of photography.